As a youth, I was very interested in science fiction and space travel either reading books or watching programs on TV. I remember watching the first episode of Star Trek when it aired in 1966. I also followed the US space program especially the Apollo and space shuttle programs. Here are my space shuttle stamps and feel free to add you own stamps to the thread. Grenada Scott #842 issued Feb. 28, 1978 depicting the space shuttle launch. Grenada Scott #843 issued Feb. 28, 1978 showing booster separation. Grenada Scott #844 issued Feb. 28, 1978 depicting external tank separation. Grenada Scott #845 issued Feb. 28, 1978 showing the shuttle in orbit. Grenada Scott #846 issued Feb. 28, 1978 depicting satellite placement. Grenada Scott #847 issued Feb. 28, 1978 showing the landing approach of the shuttle. Grenada Scott #1073 issued Nov. 12, 1981 showing sapace shuttle landing. 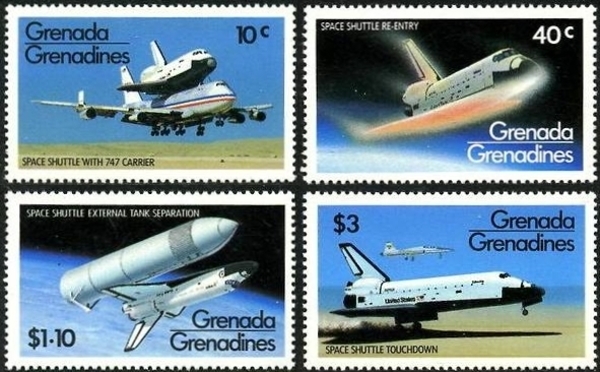 Grenada Scott #1074 issued Nov. 12, 1981 depicting the shuttle releasing its cargo. 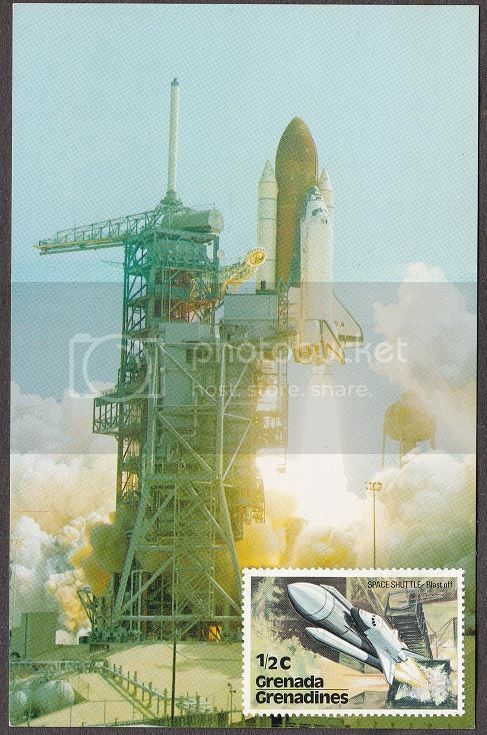 Grenada Scott #1075 issued Nov. 12, 1981 showing the shuttle lifting off. 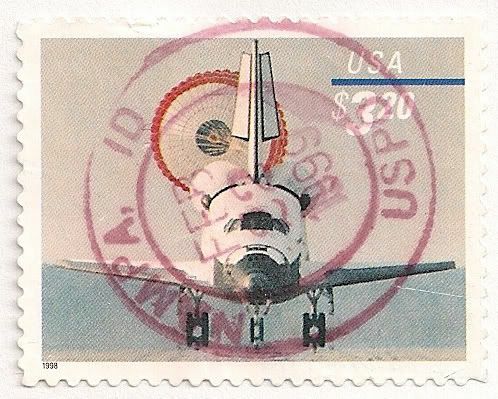 Grenada Scott #1076 issued Nov. 12, 1981 showing shuttle separation. Michael - thanks for the Granada stamps scans. I have one of the 1978 set on a US postcard that I created which might interest you. Part of a recent swap. 1991 Russia YURI GAGARIN m/s. There is also an imperf version that varies slightly. I need to explore its postmarks, stamps and its travels a little more. Second postmark -13th Nov Bad Kreuznach 17 (Germany) over a 1971 650th Anniversary of the Death of Dante Alighieri stamp. Mariner 8 and 9 were the third and final pair of Mars missions in NASA's Mariner series of the 1960s and early 1970s. Both were designed to be the first Mars orbiters, marking a transition in our exploration of the red planet from flying by the planet to spending time in orbit around it. Unfortunately, Mariner 8 failed during launch on May 8, 1971. Mariner 9 was launched successfully on May 30, 1971, and became the first artificial satellite of Mars when it arrived and went into orbit, where it functioned in Martian orbit for nearly a year. Mariner 9 completed its final transmission October 27, 1972.